Thanks very much for letting me take a half day this afternoon and work from home this morning. The photos show why. 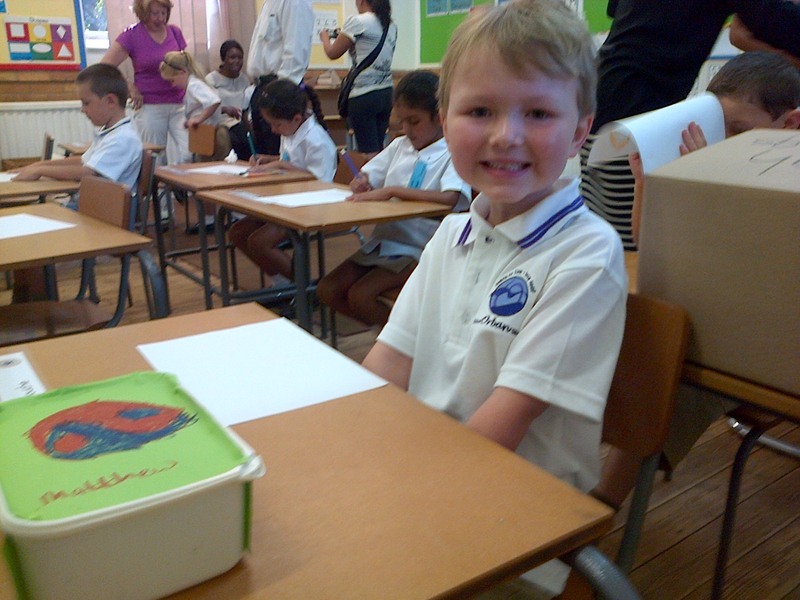 As you can see Matthew is beaming from ear to ear at having now officially started Grade 1! You will all be very pleased to know that I got my children the last two pairs of brown school shoes in Woolworths Cresta that could fit them. When I went to Edgars initially, all confident-like of a quick in and out, tick-that-box and move on to the next school requirement I had to sort out, I went dizzy and faint for a second (okay slight exaggeration) when the Edgars assistant told me very sadly that due to some horrible error, Edgars Cresta had not received a single pair of brown boys’ school shoes. Only black. Anyway it was a very close thing. 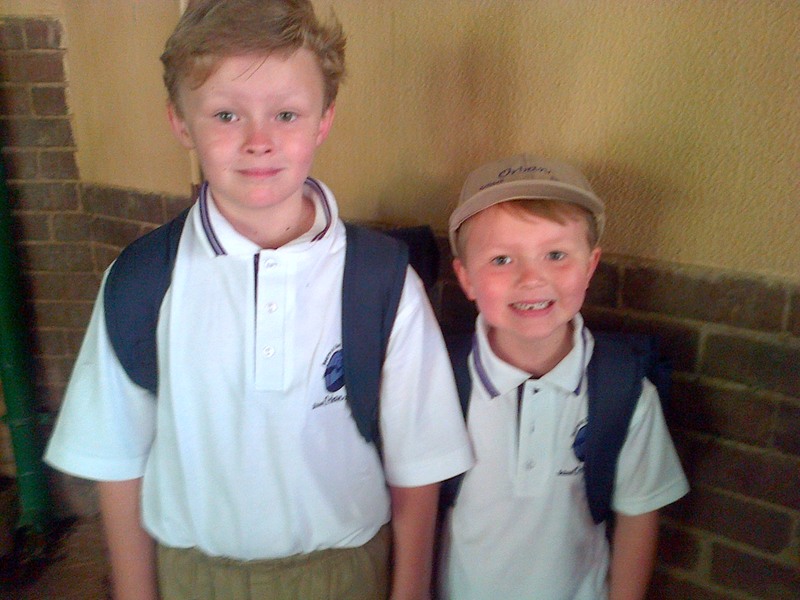 But we now have school shoes and all the other bits of required uniform, as well as stationery, lunch boxes, school bags, stationery boxes duly art-worked (okay I’m an over-achiever)…. It is all Done with a capital d.